BalCannes applications extended until September 9th! Don’t worry! The applications for BalCannes have been extended for this year until Friday September 9th midnight. All agency people from the region who are worried if they will prepare their best projects on time can now take a breath of relief because they have nine more days to finish their video presentations. 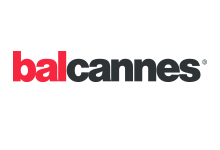 The BalCannes revue, which is being held in Rovinj for the fifth time as part of Weekend Media Festival brings a series of novelties in 2016 which will make you roll up your sleeves in order to present your agency in the best possible way! For the first time in the region, a professional advertiser jury will choose the best projects and the best marketing agencies from Croatia, Slovenia, Bosnia and Herzegovina, Serbia, Macedonia and Montenegro, so this is your ideal chance to show yourselves to your current and perhaps even prospective Clients. By applying their projects the agencies are competing for the BalCannes awards which will be given out this year for the first time. Along with the TOP 25 projects, we will find out who has the title of Best agency in the region, Best project in the region as well as the special BalCannes award. Along with the advertiser jury, another journalist jury who follow the profession will give out a special award to the best project according to their opinion. Find out more about BalCannes at www.balcannes.com and apply your projects today at balcannes.com/prijavnica.